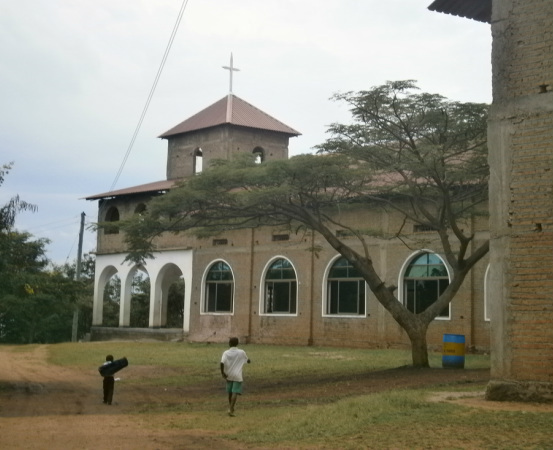 There are approximately 500 congregations in South Rwenzori Diocese. 60% of these are located in mountainous rural areas of the Rwenzori Mountains and foothills where a new Archdeaconary has been created. All services are held in the new cathedral, which is still under construction. The flooring has recently been put in place, thanks to contributions from the congregation. Work still remaining to be completed includes external plastering; the addition of a verandah; gutters for harvesting rainwater. Also a meeting room being constructed on the first floor.